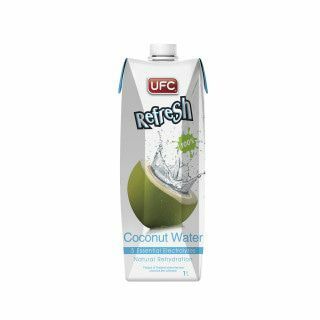 UFC Refresh coconut water is the award winning coconut water from Thailand and consists of 100% natural coconut water, without additives and not made from a concentrate. UFC Coconut water is a refreshing drink and especially very nice if you want to drink lesser soft drinks, but also do not want to switch to water completely. Coconut water is a source of magnesium and contains no fats and cholesterol. 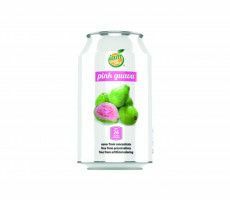 In addition, with 24 kcal per 100 ml, it is relatively low in calories. 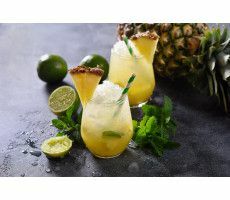 It is an ideal recovery drink for athletes and also a delicious thirst quencher! The coconut water from UFC was also awarded the iTQi Superior Taste Award in 2015. This means that a professional jury has assessed this coconut water as the one with the best flavor compared to other coconut water brands. 100% pure coconut water, no concentrate.